There are many different ways that a couple may choose to celebrate their wedding anniversary. You may choose to surprise your spouse with nice dinner, a weekend away, or with a thoughtful gift idea. There are a wide variety of traditional and modern gift ideas that correspond to the wedding anniversary year. However, jewelry is one of the gift ideas that transcends any gift giving constraints and is acceptable for any wedding anniversary year. I have selected a few of our most popular pieces that are sure to delight the recipient regardless of their age. We have an extensive collection of 5 stone rings, including diamond and/or gemstone versions. These rings are ideal for a five year wedding anniversary, but truthfully they can be given to your beloved for any anniversary or special occasion. 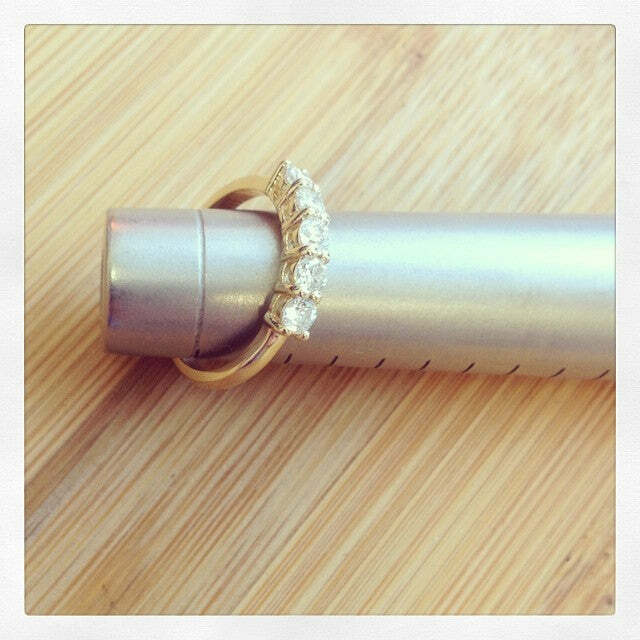 These rings can be worn as a wedding band upgrade or by itself. Also, for a limited time our five stone rings are available for an additional 10% off when you use coupon code FIVE10 during checkout. Though we offer many different styles of diamond necklaces, our most popular designs are our halo diamond pendants. 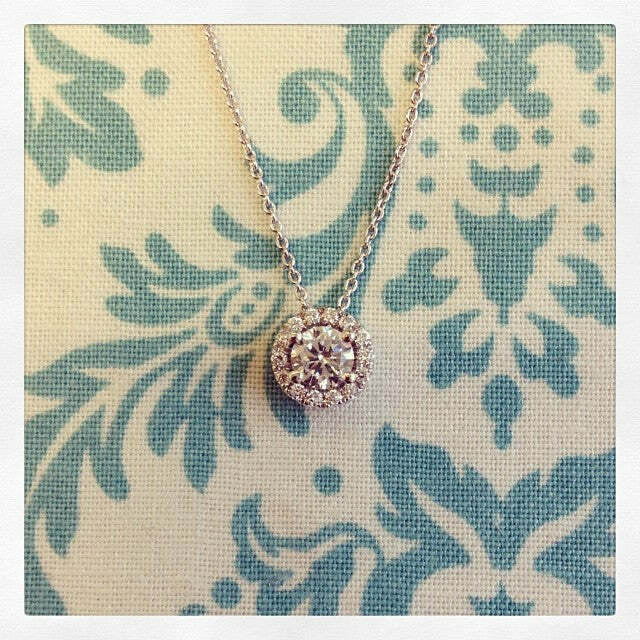 Our diamond halo necklace settings can be set with a variety of carat weights. Our customers may select a 16″ or 18″ chain, but with all of our pieces, please contact us if you are interested in customizing a necklace for your loved one. 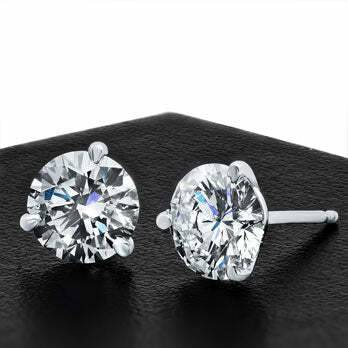 There are very few jewelry pieces as classic and as timeless as a pair of diamond stud earrings. We can manufacture our earrings in the desired carat weight, setting style, and diamond shape of your choice. These earrings are the perfect gift idea because they can be dressed up or dressed down.